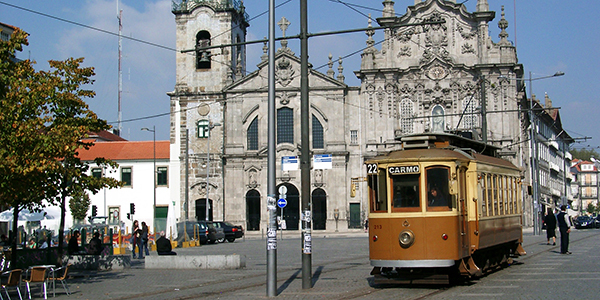 To use Porto’s public transportation you will need to buy the rechargeable Andante card. The public transportation works by a zone system: the further you go, the more you pay for the ride. A Z2 (two zones) ticket should be enough to move around inside the city, but in case you’re not sure, in every metro station or selling point there are maps and information on how many zones will you need to arrive in your destination. Before travelling, you must validate your ticket in the yellow machines, you then have 1 hour to travel and change lines or transports at your own pleasure. The ticket covers the metro, buses, trams, and trains. Just remember to validate your ticket every time you change lines or method of travel. Andante 24: Allows you to travel freely for 24 hours, on the chosen zones. The time starts counting on the first validation. Andante Tour: It is a limitless ticket that allows you to travel the entire Andante circuit as many times as you want for 1 to 3 days. The time starts counting on the first validation. Metro – From 6:00 to 1:00. Between June and October works for 24 hours on fridays and saturdays. Bus You can check the timetables here.